Hi everyone, just a short note here before I head out for today. First, happy 16th birthday to my niece Claire Englert. Woot woot! I’m sure you will always wear your seat belt , go the limit, and give a lot space to any crazy guys running against traffic while pushing a baby jogger. Thanks everyone for passing on Everest information. I’m very sorry to hear about the 11 deaths on the mountain this year – their families are in my thoughts. I think about the risks/rewards/consequences of climbing big peaks all the time. Cognitive dissonance to say the least. Best of luck to the last wave of climbers who are on their summit push right now. Alan Arnette, who has climbed all seven summits to raise money for Alzheimer’s research, has a number of great blog posts this season including an interesting and very accurate point-of-view post describing life in the death zone and containing a link to a great post by Leanna Shuttleworth describing her summit on May 20th under very difficult conditions, her pictures are amazing! 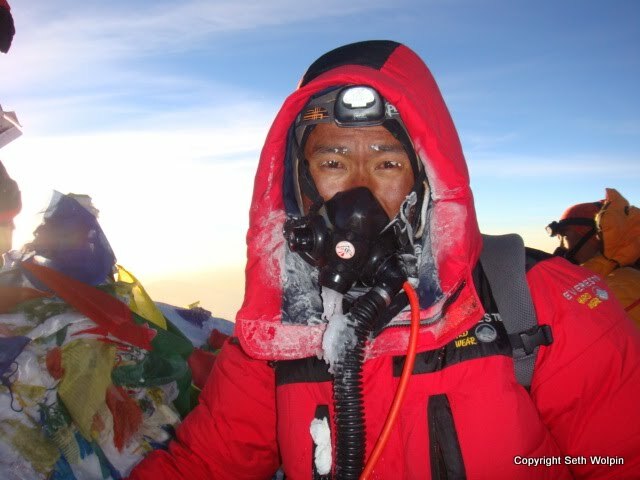 And I’m really happy to report that my friend Damai Sherpa is down safely along with the rest of the S2/HWA team. Damai served as Sirdar, or the lead Sherpa guide on this team, The western leader was Jeff Reynolds who I had the pleasure of talking with by phone last year. And Dorjee, owner of HWA, served as base camp manager. Congratulations to all of them! Thanks to everyone for your donations since my last post. I’m still working on thank you emails and post cards. These may take a while! Some of these contributions went toward the ‘Sherpa School‘ fund which will help offset the education costs for the daughters of Damai Chiri Sherpa and Pasang Sherpa. If you think that Damai must be a loaded because of the seven Everest summits under his belt, please read this great National Geographic article (thanks Tania) about Sherpas who work on Everest and the pressures they face. They really are the muscle on the mountain and take on many more risks than paying climbers. In a weird way, one of my goals is to keep Damai off the mountain next year by reducing the financial pressures he feels. And Pasang, as a trekking porter, earns much much less. While Pasang does not face the dangers of Everest, his work is literally back breaking. I have an online album of porter pictures showing them at work, many are commercial porters who carry extreme loads, but trekking porters are also in here and their loads can also be pretty extreme. I hope to have a research paper on porter health issues, based on survey data collected last year, submitted for peer review this summer. BTW, none of the pictures online are of research subjects and everyone gave permission for their pictures to be taken. Whew – Nebraska has been good so far. There have actually been some shade trees along the road and some cooler weather. I want to clarify that I’m still really enjoying this run. It is one of the best experiences I have ever had. My interest in trying to get up to 40 miles per day is more because I am curious what it would be like to run without having everything rigidly scheduled and whether or not my body can physically handle it. I am often finished by mid afternoon when it is a 30 miles or less and the idea of taking a siesta and then doing 5-10 more miles seems feasible. Plus, it will somewhat force me to be more open minded about where I end up for the night instead of doing a short day just because there is a motel there. And yes – there are some things I would like to do in Seattle in later July – but if I don’t finish by then, they can wait. My number one priority is still having fun and running all day long and collapsing in a terrible campsite is not my idea of fun. Plus, I’m carrying a laptop and still have some work obligations to attend to…so I will do my best to find a good balance between everything and if higher mileage doesn’t work out, 30 is fine with me. Last, best of luck to all the crazy people running 100-200 miles this weekend at the Pigtails Challenge. I love what friend Van Phan ‘Pigtails’ wrote about the Washington Grand Slam and why she created the challenge. Wow. Run well! I hope everyone else has a saner weekend. Cheers, Seth. 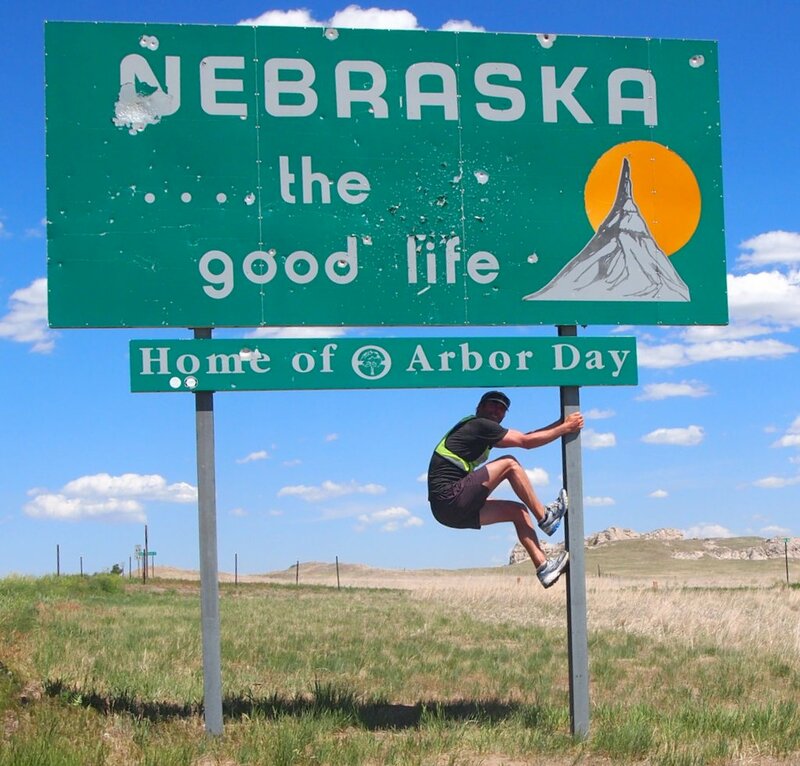 ← Nebraska: Help motivate me for 40 miles per day? Seth, How is the running going? Will you be making it to Virginia?